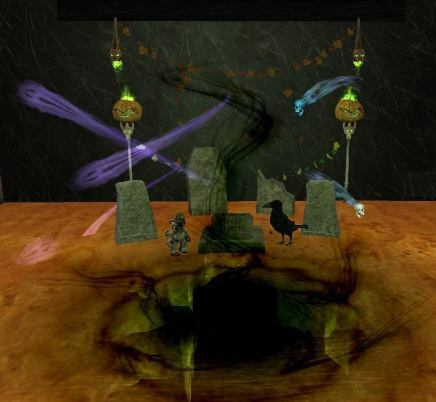 Halloween has come again and in fine MMO tradition the spooky and fun events begin. This is just the beginning, we’ll be updating this list for the next two weeks so keep coming back for more events as they get announced. Camelot Unchained‘s Kickstarter updates offer a spooky look into the backstory and racial boons and banes of the disembodied playable race, the Bean Sidhe aka Banshee. Catch the update for full details on this horrifying addition to the upcoming title. Go on a treasure hunt, kill demons, and get boxes of treasure or the Forbidden Fear Scroll which summons the dreaded Fear Deamon. This quest can be completed up to ten times a day and there are rewards for being the top opener of boxes on your server. Klarion the Witch Boy returns to DCUO once again this year, bringing with him tricks, treats, styles, items, and more. Very little information is known as of publishing this article; check back next week when hopefully there will be more to tell. Meet Crazy Duck’s undead cousin, Pumpkin Duck. Scare him away for coupons to get pumpkin related souvenirs. Plus get rewards for staying logged in for 30 minutes, 1 Hour, 2 Hours, or 3 Hours with cookies, jewel pouches, and more. Eighteen different costumes have been added to Elsword this holiday season. Trick or treat in style, and keep an eye out for more events and community contests then ever before. Keep an eye out on social media for more and catch a preview of some of them on our image gallery. Everquest – The Haunting of Norrath – October 19 – ? 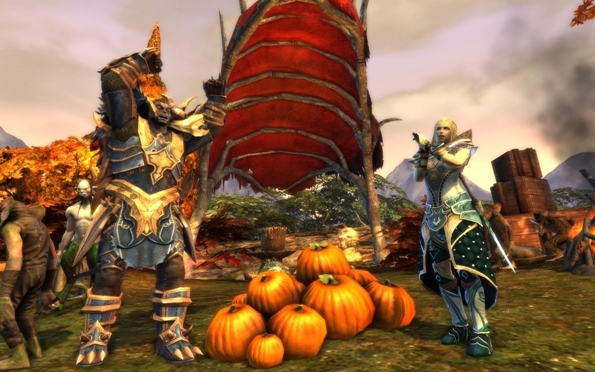 The Haunting of Norrath returns once again with new candy and costume shops, bone collecting, The Gravedigger, Scarecrow Roundup, and many, many more events. To see them all you’ll just have to log in. Race fellow adventurers to capture ghosts and earn rewards. Or maybe you’d like to have a go at some of the popular quests from Halloweens gone by? Earn new achievements and buy some holiday themed items on the market for a limited time. A traveling circus has arrived overnight as if by magic. Talk to them to get a special quest. Enjoy decorative lanterns lining the streets and fun costumes but always be on the look out for tricks and treats. The Mad King makes a return this year up to his usual tricks, but he isn’t alone. Bloody Prince Edrick, the son of The Mad King has appeared. 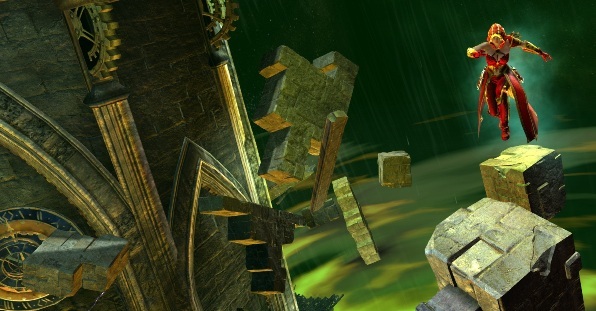 Trick or treat, get lost in a deadly labyrinth, and race to the top of the Mad King’s Clock Tower. Kings and Legends – October 22 – ? Active players will new card rewards and take part in a limited edition Challenge Hall to be in for a chance to get a Unicorn Mount and Runes. Expect more information to come out as the event approaches. New costumes are being introduced to celebrate Halloween. The first is Wolverine Brood. After being infected with a Brood Embryo Wolverine was able to keep himself from being completely transformed but is now trapped in a half mutant, half alien form. Check the Marvel Heroes site regularly for more spooky costumes. Halloween gets not one but two events this year in MU online. The first is a trick or treat hunt across the web. Collect 5 codes from media partners (including OnRPG!) to get free in game gifts. This only runs until November 1st. The second event begins October 23rd and carries on until November 6th. The Haunted Halloween Hunt takes players on a quest to find the WereRabbit and Fire Flame Ghost then expands the monster hunt to include any above level 68. Get rewarded with scrolls or even a rare transformation ring. Atrophinius returns for the Autumn Harvest. Eliminate scarabs who are trying to get at the harvest, steal loot that belongs to Telara, and face off against vampires and werewolves. As thanks for helping Atrophinius and the Fae get special tokens for Spectral mounts and other sweet loot. The Settlers Online – October 17 – ? A new server wide challenge is one of two highlights this year. A giant golem will invade every player’s island and must be defeated over and over for awesome rewards. Each time it returns the battle gets harder but the rewards get sweeter. Or take part in an exclusive quest chain that helps characters get pumpkins which can be traded for decorative items, buffs, and buildings. For a limited time get three new skins. Jack the Reaper – Pumpkin Thanatos. 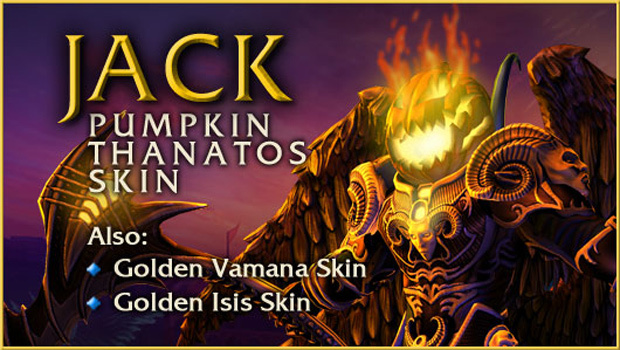 Golden Vamana and Golden Isis have also been introduced. Jack the Reaper Thanatos will only be available for purchase during the holiday season so make sure to purchase it before November 6th. Crash the feast of the Vampir in a forgotten dungeon near Balder’s Refuge and protect your hard earned candy from creepy creatures going after your loot in the Eldritch Academy. Get costumes, accessories and even an adorable ghost pet called Boo. The Cat God returns once again for those who missed it last year, or simply wish to relive the fun. New this year is the Stories from Solomon Island. This series of missions has you helping the League of Monster Slayers in completing their book of urban legends by investigating these scary stories. The release date hasn’t been announced for this event just yet though. CCP reviews its first round of programming for the 10th EVE Fanfest in 2014.